Go to any 7-11 Store or Cebuana, M’Lhuillier outlet in The Philippines. Buy, trade, sell bitcoin. Pay bills or transfer money anywhere in the world. 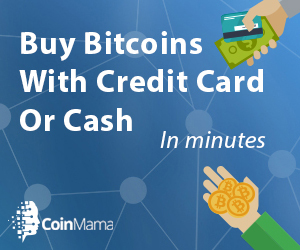 We advise that you do not buy bitcoins with a credit card (Unless you can immediately pay it off) as credit card interest rates are stupidly high. In the first place, it is possible, due to the unfriendly banking system that you may not have access to a credit card or debit card. Secondly, this creates confusion about how to purchase bitcoins. Once verified you have solved the problem and buying bitcoins with cash is going to be super easy! Congrats! You have actually done the hardest part! Now as a special surprise, if you use your referral link and give it to your friends and they join and get verified, you will also get a gift of 50 pesos per person upon verification. If you introduce 10 people a day to Coins.ph, you would be creating a nice little income on the side! Bitcoin is gaining popularity globally and I am sure that your friends will soon start asking Where To Buy Bitcoins With Cash – Well now you can help them! Once you are verified, you will be able to buy bitcoin. And you can also load Philippine peso to coins.ph directly. In fact, Coins.ph becomes your new bank! Confirm your account has received the payment. Union Bank seems to take the longest in my experience. 7-Eleven is one of the most expensive, but the most convenient as they are located everywhere. I think Coins.ph is an amazing little app. I use it all the time to not only buy my cyrptocurrencies, but also to pay my utility and credit card bills while I am out of the Philippines. If you want to know where to buy bitcoins with cash, and you have access to a Philippine address, this is one of the best solutions I know. ← What Are Bitcoins Used For – It Will Make You Want To Change Your Banking!